With more nominations than Jack Nicholson and Meryl Steep combined, Memsaab is arguably Nottingham’s most decorated restaurant. I have been a couple of times but felt it would be remiss of me not to include a venue of such profile on the blog. It is also an interesting comparison against the depth of competition that is out there, suffice to say I was hoping for better things than the disappointment next door at Calcutta Club. 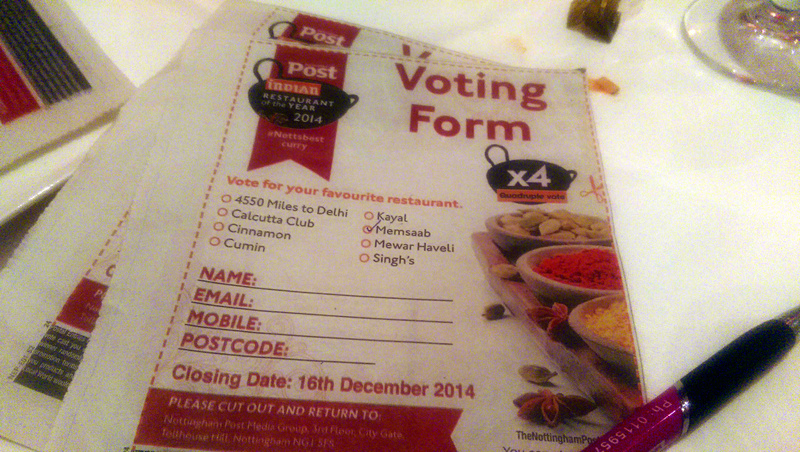 Memsaab is the most stylish of the Maid Marian way Indian restaurants. A slightly perplexing arch greets you just after you enter but for the most part comfort and colourful Indian influences make it a pleasant dining space. The menu is relatively succinct, which I like. Many Indian restaurants try to cater to all by offering every dish imaginable, do fewer but do them well. 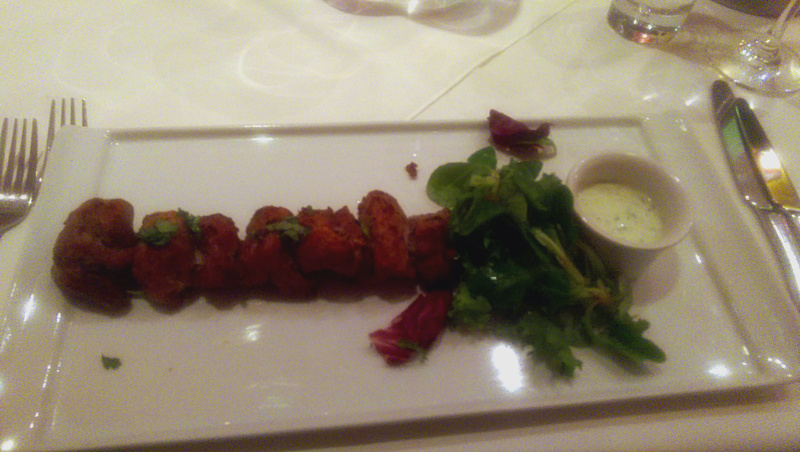 I was undecided on the starter and was swayed by the only option that proclaimed “Memsaab speciality”. My Boti Padina was simply presented, the lamb marinated with mint, yoghurt and black pepper. The lamb was adequately cooked but was bereft of any excitement. I was clearly expecting too much from that benign collection of marinade ingredients, with many accolades I had greater expectations. 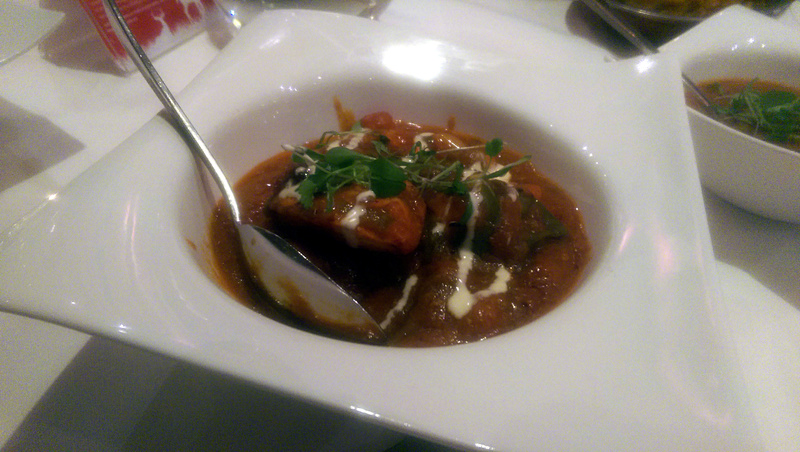 I kept it simple with the main and a chicken balti was a marked improvement on the starter. The gravy had the desired warmth, a balti should never be scorching, and a luxurious texture but that wasn’t too rich. The chicken too was good, retaining plenty of moisture. On my visits to Memsaab a consistent feature has been really good cooking of the meat in the main dish, never overcooked which is easily done. As is so often the case at an Indian restaurant I was a little too full for dessert and nothing appealed enough for me to solider on. I requested the bill which across the “top” Indian restaurants in Nottingham is expensive but this is little to choose between them. My starter was £7 which was the real disappointment, compared to sharing a mixed grill down the road at Cumin this really didn’t represent good value. The mains ranged from £10-17 without rice, my balti one of the more standard dishes at £11 which stacks up similarly to the competition.